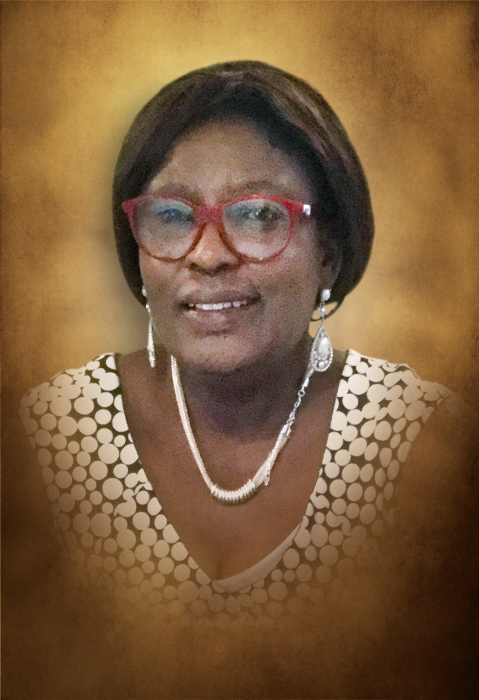 Mercy Pelebo, age 61 of Copperas Cove, passed away on Monday, January 14, 2019, in Killeen. Funeral services will be held at 2:00 p.m. Saturday, January 19, 2019, at Scott's Funeral Home Chapel in Copperas Cove. Burial will follow at Copperas Cove City Cemetery. Visitation with the family will be one hour prior to services at the funeral home. Mercy was born on April 12, 1957, in Nigeria. She married Goodluck Pelebo on July 30, 1982, in Nigeria. They resided in Tyler, Texas, Collingswood, New Jersey until moving to Copperas Cove in 1998. She received her B.S.N. from the University of Texas in Tyler. She was a registered nurse, and owned and operated Trinity Home Health Care Services in Copperas Cove until her retirement in 2017. She was Co-Pastor, alongside her husband at The Fellowship of Praise and Worship in Copperas Cove. She is preceded in death by her father, Inabara Rufus-Spiff and brother, Tonworio Rufus-Spiff. She is survived by her husband, Pastor Goodluck Pelebo; mother, Agnes Rufus-Spiff; four children, Walter Pelebo and wife, Carah, David Pelebo, John Pelebo and Marymargaret Pelebo; brothers and sisters, Idubamo Rufus-Spiff, Abraham Rufus-Spiff, Irigha Rufus-Spiff, Inanga Rufus-Spiff, Inifuro Rufus-Spiff, Essian Cobham; and two grandchildren, Faith and Elainah Pelebo.